If a picture is worth 1,000 words, many of us compose a novels-worth of emojis every day. As amusing as these graphics are, they also serve an important short-cutting purpose, especially when we are trying to multitask — taking care of our kids while communicating with other adults. An emoji-in-the-making that is sure to be a hit for new parents is the newly unveiled breastfeeding emoji. A nurse proposed the breastfeeding emoji as a way to encourage and support breastfeeding, noting that although a baby bottle emoji already exists, there wasn’t an emoji for breastfeeding. The demand was clearly there: a breastfeeding emoji was among the 30 requested for 2016, and Unicode approved the emoji in early November. The design of the emoji doesn’t appear to be finalized yet, but it will likely include a variety of skin tones and is expected to be available sometime in late 2017 or after. Whether being used to connect with other new parents, to let family members, friends, or coworkers know what they are doing without bothering the baby while nursing, or simply to show support for breastfeeding, this emoji will come in handy for new parents at a time when their hands are full. If a picture is worth 1,000 words, many of us compose a novels-worth of emojis every day. As amusing as these graphics are,�they also serve an important short-cutting purpose, especially when we are trying to multitask -- taking care of our�kids while communicating with other adults. An emoji-in-the-making that is sure to be a hit for new parents is the newly unveiled breastfeeding emoji. A nurse proposed the breastfeeding emoji as a way to encourage and support breastfeeding, noting that although a baby bottle emoji already exists, there wasn't an emoji for breastfeeding. The demand was clearly there: a breastfeeding emoji was among the 30 requested for 2016, and Unicode approved the emoji in early November. The design of the emoji doesn't appear to be finalized yet, but it will likely include a variety of skin tones and is expected to be available sometime in late 2017 or after. 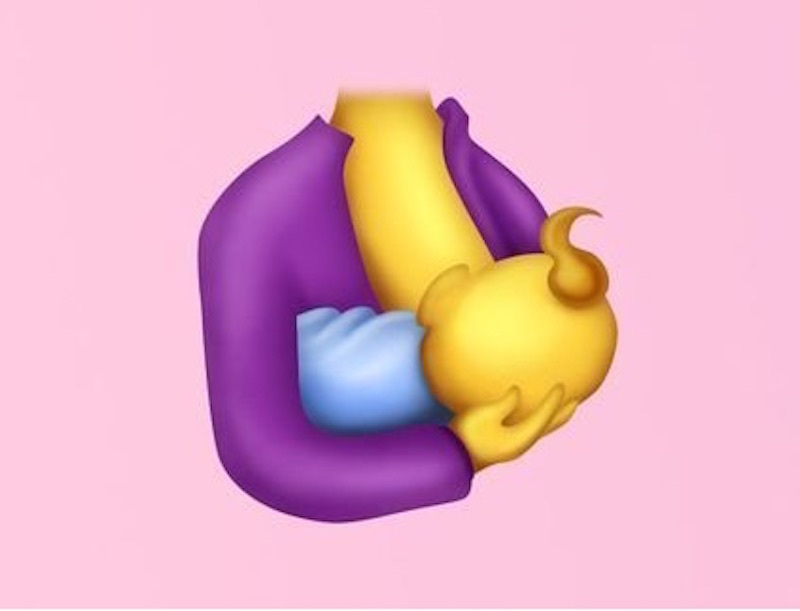 Whether being used to connect with other new parents, to let family members, friends, or coworkers know what they are doing without bothering the baby while nursing, or simply to show support for breastfeeding, this emoji will come in handy for new parents at a time when their hands are full.